I just wandered home after a lovely dinner with some friends and noticed that my box from Nordies had arrived! Weeeeeeee! 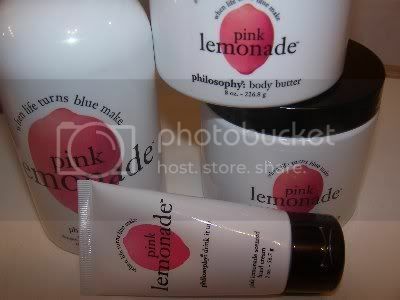 Inside was the philosophy pink lemonade bits I ordered! I was discussing this new edition to philosphy’s line in a prior blog which can be found by clicking HERE. I had originally purchased the 3 in 1 and after getting it home I logged right onto Nordstrom.com to order the other pieces of the collection! I now have in my possession the body butter, hot salt scrub, and hand cream. Have no fear I’ve taken lovely pictures to share with you! I’m impressed with all the items in the collection and happy I went ahead and dove right in and got ’em! I’ll go ahead and review the lot! The body butter is the first for me, I’ve tried the philosophy body souffle before and never found them anything but sticky and gross! This made me weary of purchasing the body butter but I went ahead and did so after seeing it in store. I’m happy to say it’s sensational! 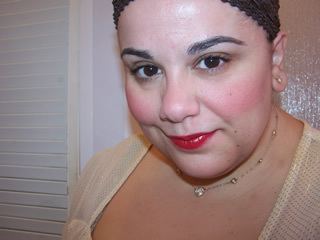 It’s very light, very strong smelling, not greasy, and absorbs super well! 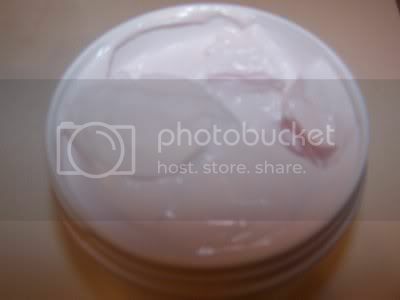 The body butter is pretty new as they introduced it during the winter when they did it in the Apple scent. They have since introduced several more scents and I’m tempted to purchase a few because I like it that much! Overall I give it my best rating! 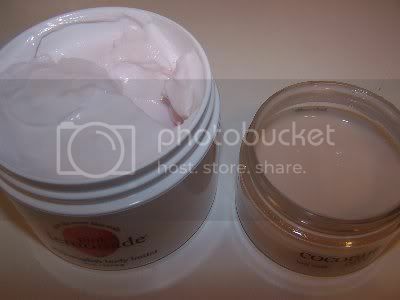 In the picture below I’ve compared the body butter to the original body souffle. As you can see the body butter is a light, creamy texture and the souffle is thick and quite sticky when on! I’m so happy they seem to have faded the souffles out and are replacing them with these new butters! 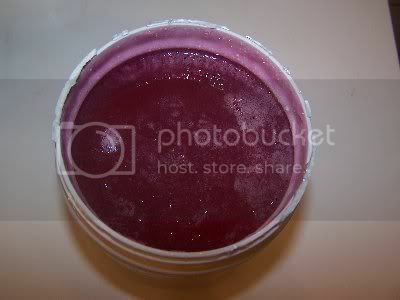 The hot salt scrub is fantastic! The texture is quite like empowermint but not as thick as the gingerbread man or senorita margarita. It’s a very oily, liquidy scrub but works just fantastic! It smells postively awesome and it almost looks like a Pink Lemonade Slushie! It, of course, has that warm tingle that all of philosophy scrubs are known for! 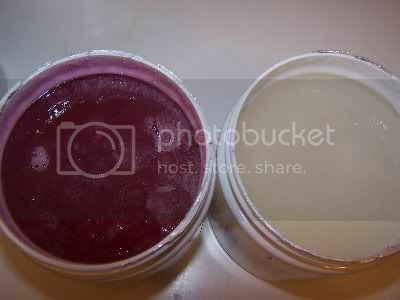 You can see in the picture below that empowermint and Pink Lemonade are pretty much the same texture! 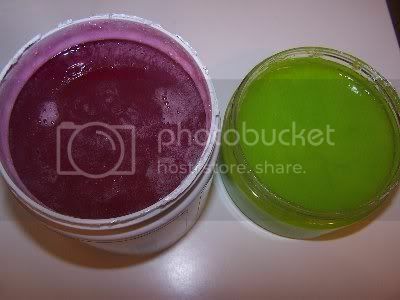 For some reason or another I always feel like the gingerbread man and senoirta margarita (pictured below on the right) are always more grainer and less oily than the other scrubs in the line! Finally I purchased the handcream and really what’s to say? It’s just as great as the rest of the line! If you’re looking for a nice summer shower layering collection, this would be it! It’s truly a perfect 10! great info & pics – definitely getting one of these items ASAP, thanx!